Mary Schlichting: Sorry for what? Lonnie Schlichting: I'm sorry that I put windowpane in Mel's quail, and I'm sorry that you ate it. 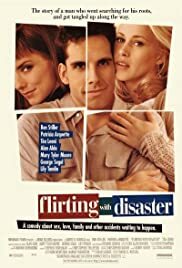 FLIRTING WITH DISASTER (1996) **** Ben Stiller, Patricia Arquette, Tea Leoni, Alan Alda, Mary Tyler Moore, George Segal, Lily Tomlin, Richard Jenkins, Josh Brolin. 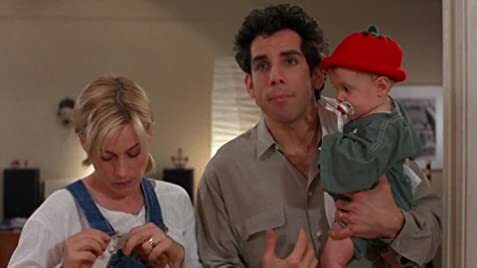 Hilarious and wickedly sharp satire about a young man (Stiller in a memorable turn) searching for his identity by trying to locate his biological parents while alienating his neglected and lovely wife (the yummy Arquette) and Leoni (simply wonderful) as his adoption broker. Fine ensemble cast (especially Moore in an inconoclastic poke at her image) and Alda (ditto). Subversive good, clean fun and seriously dysfunctional family values (thank God!) from filmmaker David O. Russell beating the Sophomore Jinx (in this his second turn at the helm).